Time really flies, and with that, this also marks my last entry on ClozetteINSIDER as the Ambassador Insider for January 2015. I’ve had lots of fun curating various themes for the posts each week and I hope that you have enjoyed reading them as well! For my last feature, I've compiled my OOTDs for the past week and will be sharing some insights on why I chose to pair certain pieces and the occasions I wore them to. This is in line with some of my style resolutions for 2015, and I hope you will be inspired by my fashion choices! January brought me back to my daily grind: school. When it comes to dressing for school, I prefer to keep things slightly more casual and comfy. I added a little necklace to my top which really complemented my floral shorts with its gold accents! I kept the rest of my outfit white to let my pastel shorts shine on its own. I chose to wear a comfy pair of white plimsolls since I had to do quite a bit of walking that day. This is my ideal outfit for when I'm headed to town. Since I'm more of a flats kind of girl, I decided to pair my yellow midi-skirt with a comfy pair of Moccasins. 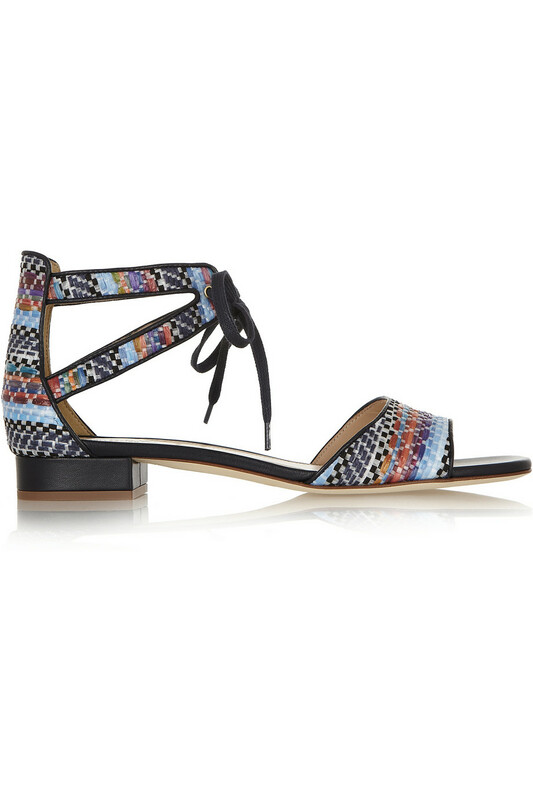 However, you might prefer pairing them with heels to show off those gorgeous legs and lengthen your silhouette! I also chose a graphite print crop top to highlight the colour of my skirt, and finished off the look with a silver belt. I experimented with another colour combination when I headed back into town. My top is actually a romper on its own, but I wore a skirt over it for a bit of colour blocking. It's something which I have been doing for some time now, and I always find it amazing how a piece of clothing can look so different with minor style adjustments. I wore this outfit to explore the arts district on a sunny afternoon and I found the ensemble really perfect for the scorching weather. I particularly loved how the floral printed skirt added a bright pop of colour despite the outfit mostly being in muted-tones of grey and black. I then added a brown bag to complete the look and carry the day's essentials. 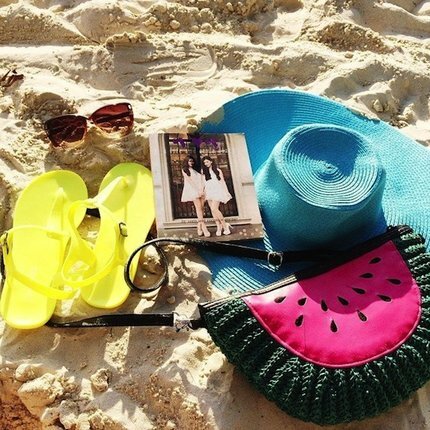 Do you have any OOTD tips to share? 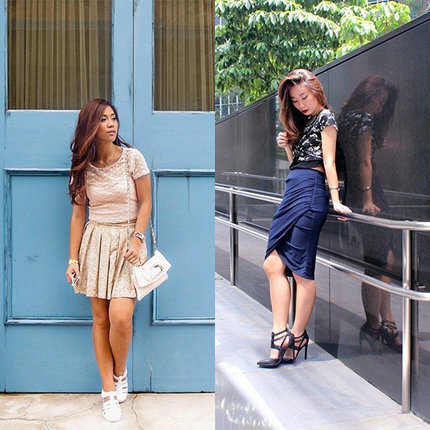 Snap an OOTD and share it with our Fashion Commmunity! 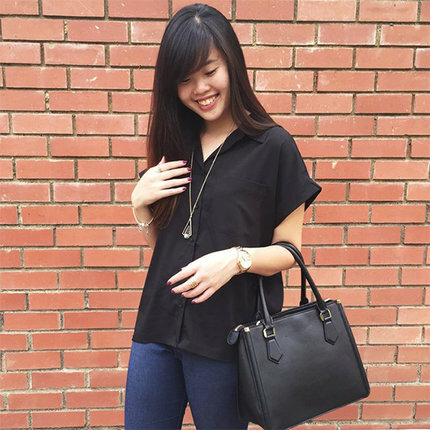 Click here to see more OOTD ideas from our Clozetters! Net-a-Porter.com has one last treat for those of us who still have a holiday hangover---their amazing clearance sale! Labels like Proenza Schouler, Alexander McQueen, and Victoria Beckham have clothes, bags, shoes, and accessories that are up to 70% off. Step out in a haute hue with Jimmy Choo’s Lang patent-leather sandals in magenta. 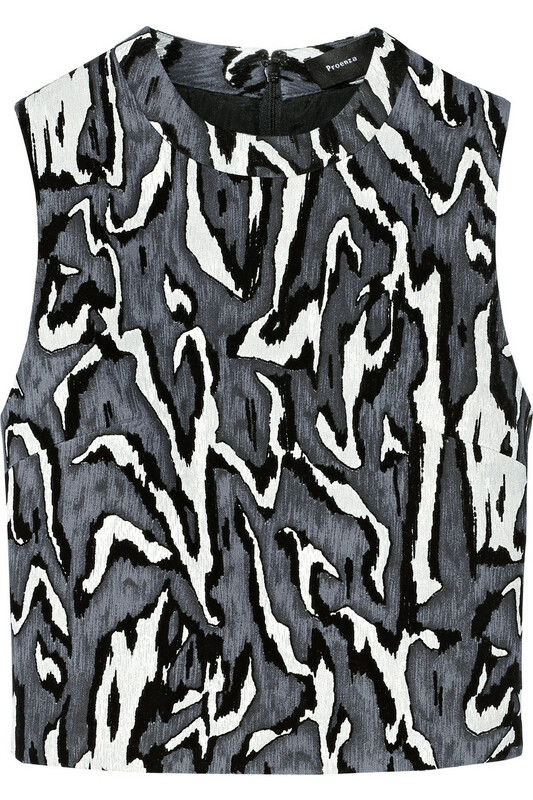 Spice up your basic ensembles with this cropped flocked moiré-jacquard top from Proenza Schouler. 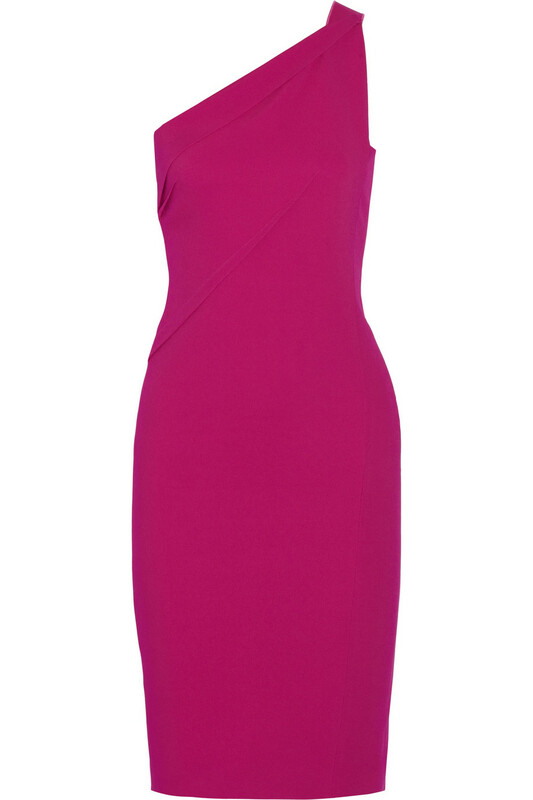 For a romantic evening out, you can’t go wrong with Roland Mouret’s Aralia stretch-crepe dress with its extremely flattering silhouette. Whether it’s the boardroom or a fancy dinner with your colleagues, Victoria Beckham’s oversized crepe vest makes for a sleek look. 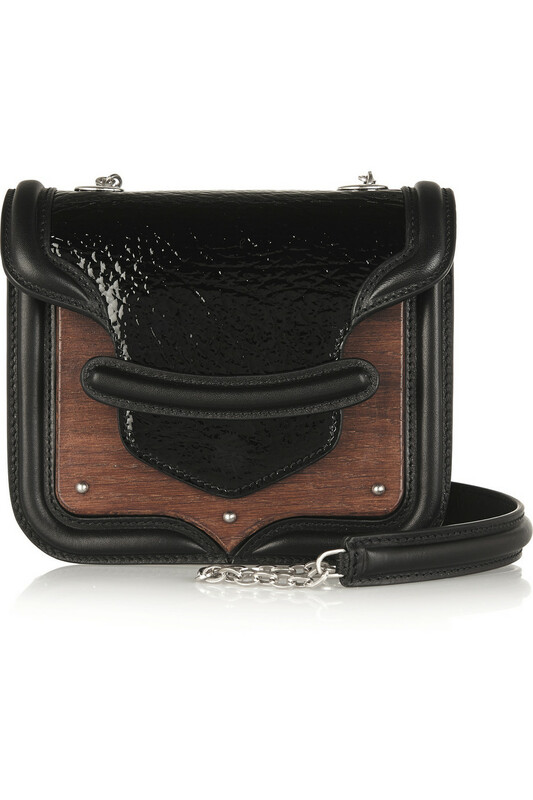 Grab hold of Alexander McQueen’s signature Heroine mini bag reworked with contrasting textures for a refreshing new look. 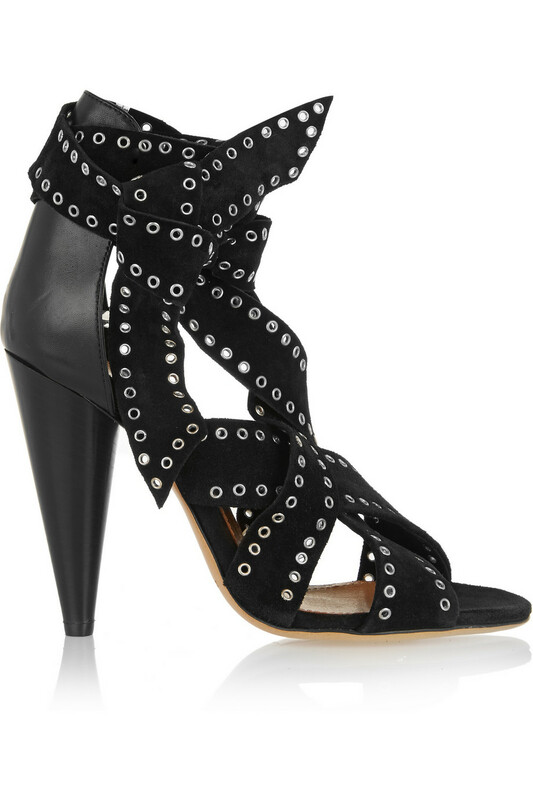 Give your outfit an edgy feel with a pair of studded suede and leather sandals from Isabel Marant. For a pop of colour, slip on J.Crew’s leather-trimmed faux raffia sandals. 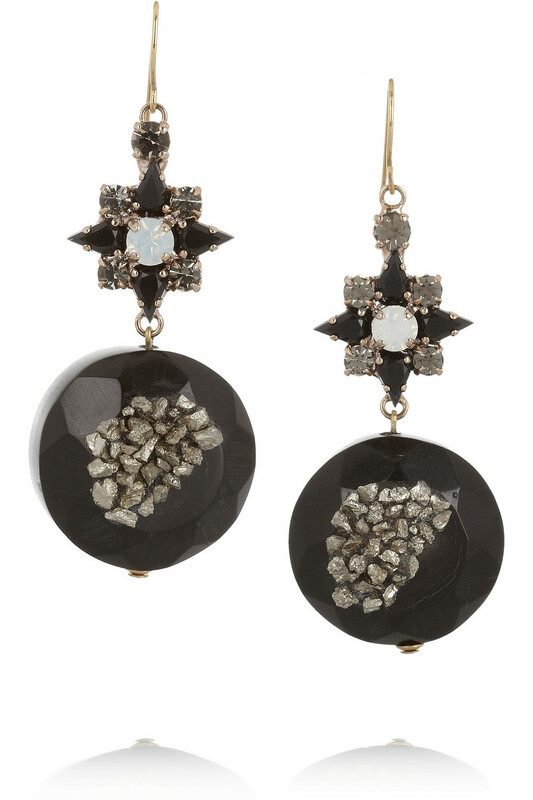 Marni’s gold-plated brass and polished horn earrings features sparkling Swarovski crystals and pyrite, making it a gorgeous statement piece to go with formal wear. 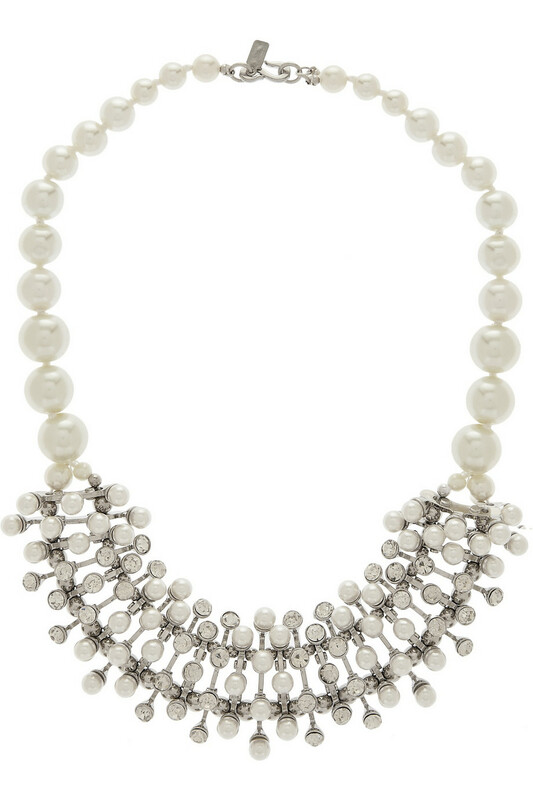 Classic faux pearls from Kenneth Jay Lane can easily be the focal point of any ensemble, adding a touch of luxe and glamour to simple, chic pieces. What are your favorite signature brands? Snap and Share to our Fashion Community! Spice up your Valentine's Day with a Couple Look! Since Valentine's Day is not too far away now, we've put together a few couple-fashion looks you may want to give a try! The unisex trend has been very in and there are many brands offering unisex outfits you can easily match with your partner. It’s probably the easiest and the more common trend to work with. It could be a sweater (a hot item now amongst couples in Korea), with the girl sporting the bright playful tones while the guy goes for toughed, classic colours. Another way to style the trend is by taking a plain coloured tee or sweater and styling it in a mister and missus version. 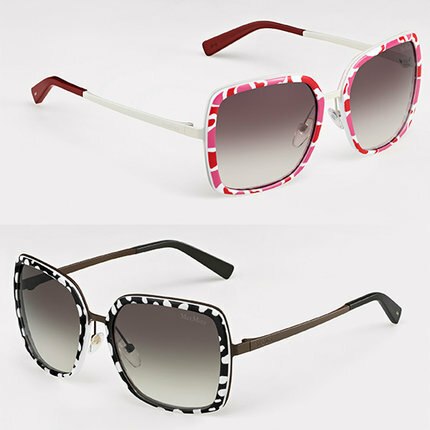 Here’s another easy way to go fashionista lovey-dovey! The Similar Look trend is not only popular amongst couples; it can also be worn with your BFFs! It can be easily achieved by wearing a piece of the same colour as your partner or by wearing a similar item in a different colour, cut, style, or silhouette. Justin O’Shea, buying director of Munich-based site MyTheresa.com, and his girlfriend Veronika Heilbrunner prove that you can still be hip and trendy and fashionable even while running a top online brand. Justin, often in three-piece suits, subtly and sweetly coordinates with Veronika's outfits as they go about in their daily tasks. This couple proves that even if you’ve got different styles, there’s still a way to pull-off that well-coordinated coupley look. If you’re not in the mood to crack your brains for an outfit, ready-made couple wear is no longer what it was before! 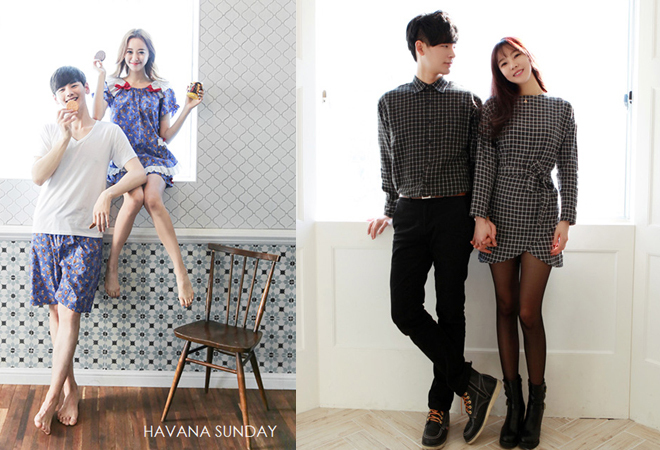 Korea being big on all the lovey-dovey stuff has many on-line shopping sites made just to sell trendy couple items! Sites like Funhancouple and Stylestoker provide international delivery and these sites sell everything from beach wear to sleepwear to coats and even different outfits classified for different events. So how do you pull-off a coupley-OOTD? Snap a photo and share it with our Fashion Commmunity!